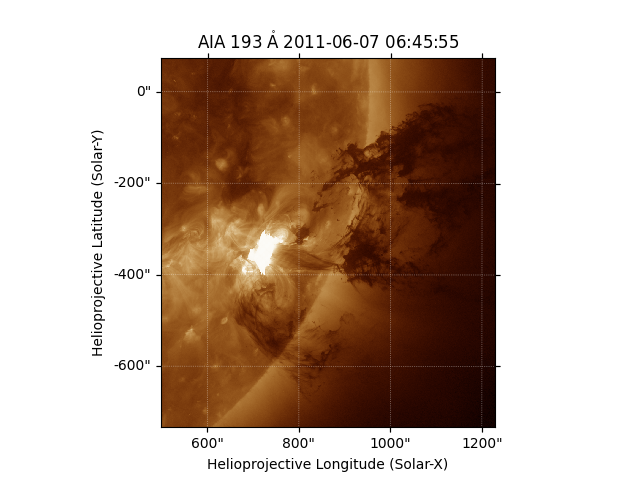 An overview of the coordinated sample data set for the SOL-2011-06-07 event. 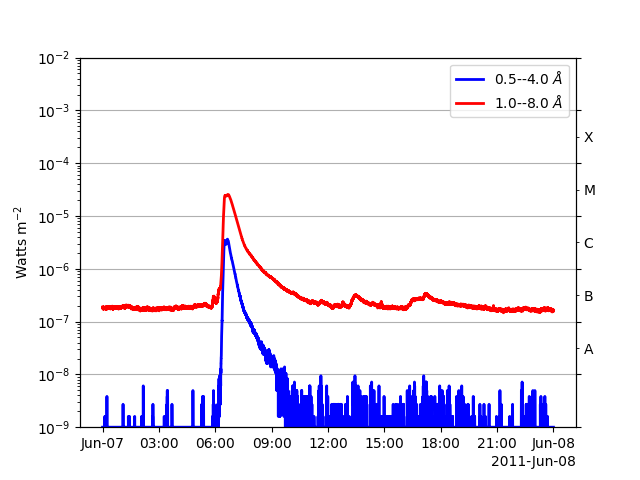 The following image of the flare is now fairly iconic. 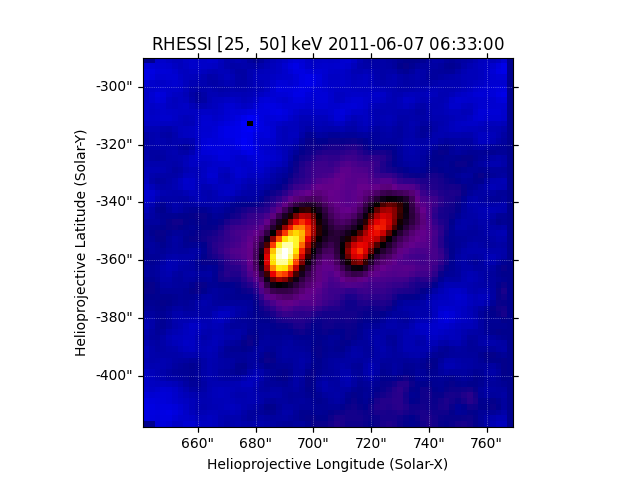 Let’s take a look at the GOES XRS data. Next let’s investigate the AIA full disk images that are available. Please note that these images are not at the full AIA resolution. We also provide a series of AIA cutouts so that you can get a sense of the dynamics of the in-falling material. 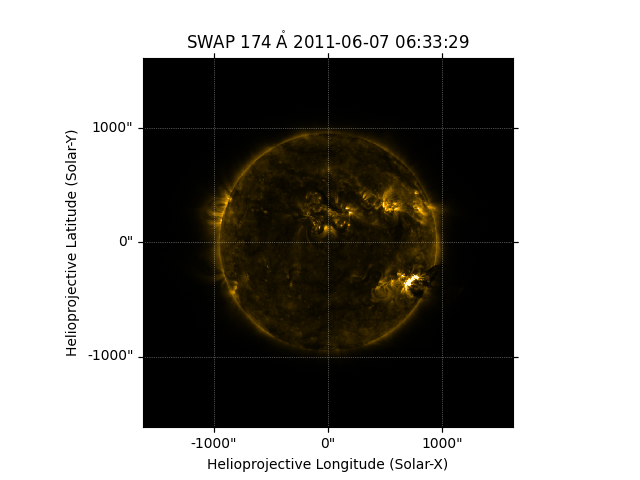 There are a number of other data sources, such as SWAP.